I used a couple cheap Arduino clones ($16 for a pack of 5 on amazon), one in the zapper with an IR emitter, and one in a box with an IR receiver, which has an outlet for you to plug a lamp or other small device into. 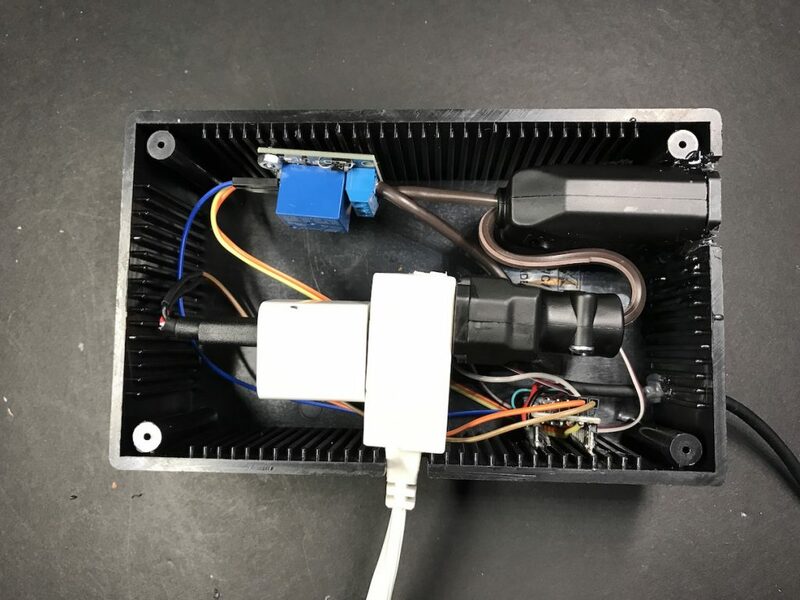 The zapper sends a message that the receiver is watching for, and when it gets it, it turns a relay inside the box on and off. 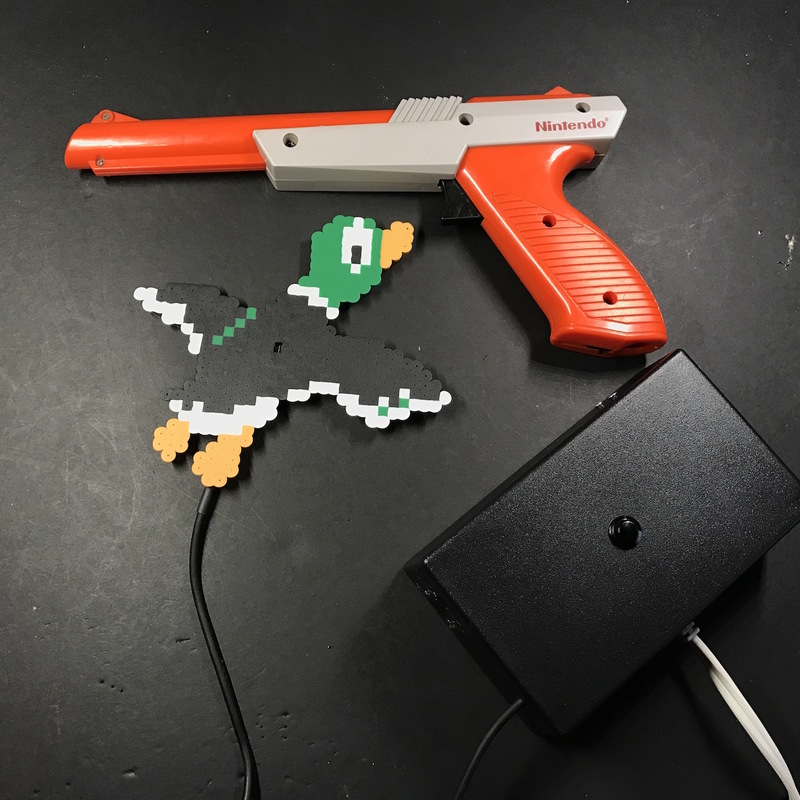 The actual IR receiver part is separate from the box, mounted behind a duck hunt duck made from Perler beads. That’s it! 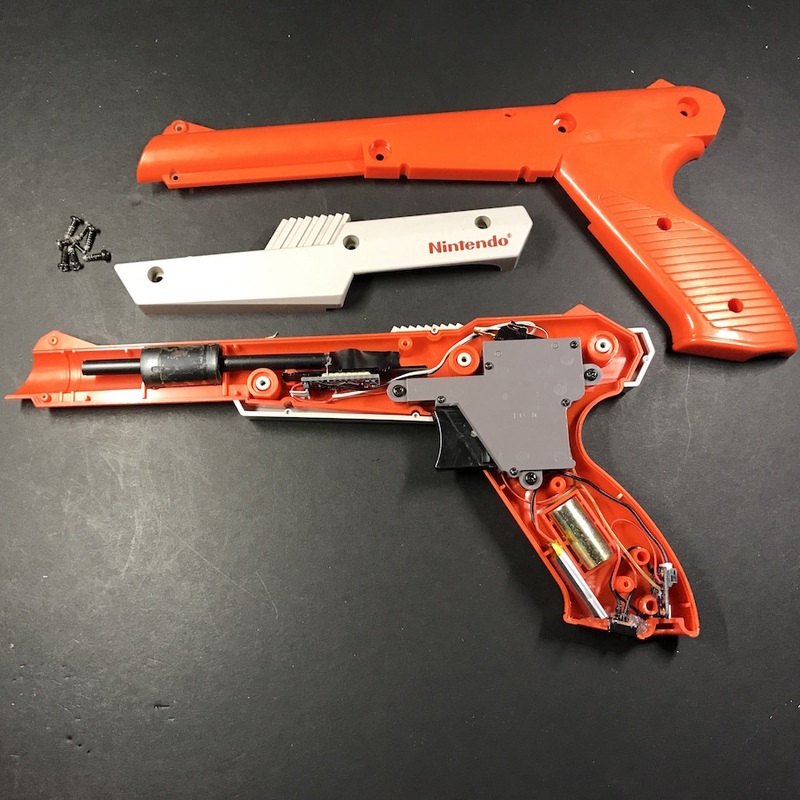 Fun, quick project that you could easily knock out in a weekend. If there’s enough interest in it then I’ll do a quick guide and show you how to make one yourself, so if you’re interested in that let me know!